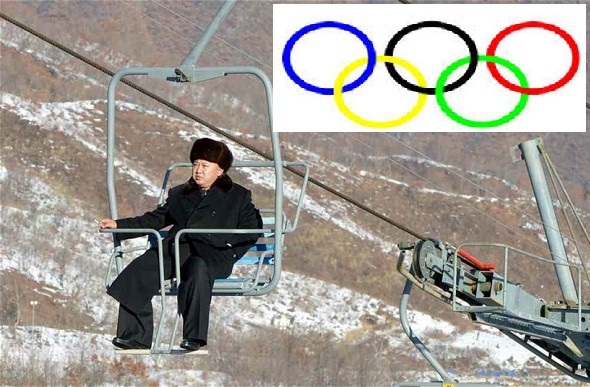 North Korea’s Supreme leader Kim Jong-un rides N. Korea’s first and only ski lift. 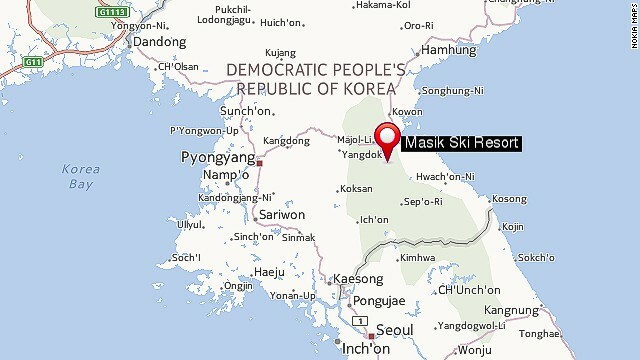 The International Olympic Committee (IOC) voted today to award the XXII Winter Olympiad in 2022 to Wonsan, N. Korea, located near the Masik Pass ski area in Kangwon Province. The 2022 Wonsan Games will follow the 2018 Winter Games hosted in neighboring Pyeongchang, South Korea. The 2022 Winter Olympics, officially known as the 2022 Olympic Winter Games, is a winter multi-sport event. The precise dates remain pending but will be scheduled at the sole discretion of North Korea’s Supreme leader Kim Jong-un. Possible dates for Opening Ceremonies include February 10, February 12 and July 6. Wonsan was selected following a two-year process which had narrowed the field to three finalist: Wonsan, Bauchi, Nigeria and Kingston, Jamaica. 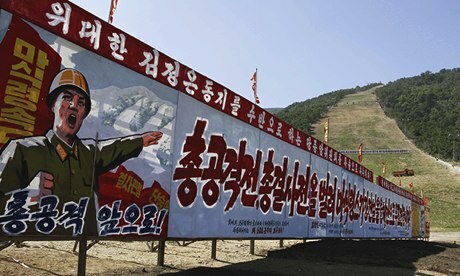 Today’s highly secretive vote awarded the first international competition of any kind, if you don’t include the Korean War, to the truly hardline Communist State. Nonetheless, the IOC wishes to express its gratitude to both Bauchi and Kingston while urging each to reapply for future Games. Committee members truly enjoyed Kingston 2022’s presentation, Cool Runnings, as well as the t’shirts and brownies. And as far as Bauchi 2022 Committee member Mutuota Adebayo goes, we truly regret our inability to assist your poor Uncle Obi Ohakim, whose $45.67 million (U.S.) remains sealed while he is in hospital and under indictment. Not that we would of minded the almost $5 million service fee for transacting the transfer of funds, it’s just that our own bank accounts remain frozen due to the same kind of unjust and unfair prosecution as experienced by Uncle Obi. The IOC’s groundbreaking decision was made easier by the unqualified success of Olympic Games in other dictatorial and corrupt regimes such as China, and at present, Russia. The Committee wishes to thank in particular Russian President Vladimir Putin for his leadership in helping us understanding both. While some new sports will be considered by the IOC’s Competition Committee for inclusion in the 2022 Games, N. Korea has already indicated its intent to modify the traditional Biathlon by substituting live political dissidents for the traditional metal targets.